Ideal for large hospitals and third-party repackagers, the Cadet Twin® is a fast, efficient and durable tabletop machine designed for maximum uptime. 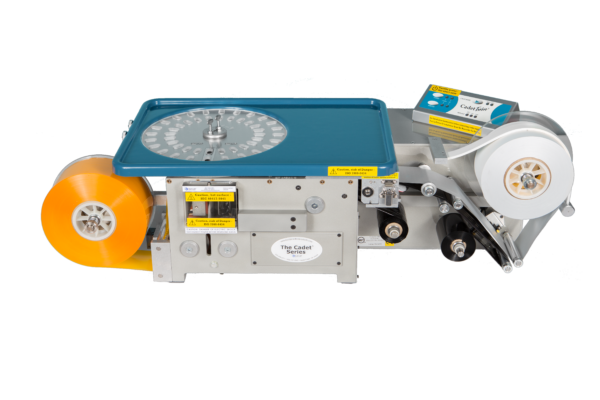 Reliable, durable and complete with excellent on-site service, training and ongoing technical support, the Cadet Twin® provides third-party repackagers with a machine they can rely on for continuous service. When properly maintained and updated, Euclid® machines can last for more than 20 years, making today’s purchase an investment that will stand the test of time for many years to come. Featuring the latest software, barcoding, safety and operational features, the Cadet Twin® packages 120 units per minute in the standard 1.5-by-1.5 inch package size. A fingerprint reader, pill camera, linear barcode scanner and the Euclid® Vantage™ Software package are included with purchase. Other accessories such as a 2D barcode scanner and complete system package can be purchased separately. Cost savings: Use our cost savings calculator* to see exactly how much money you can save using Euclid machines.